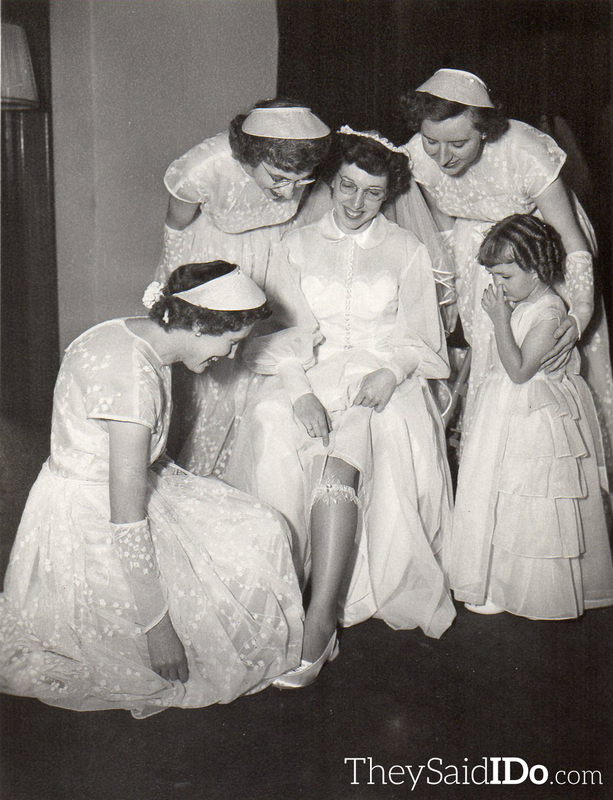 This is the first in a series of photos from the weddings of two sisters. 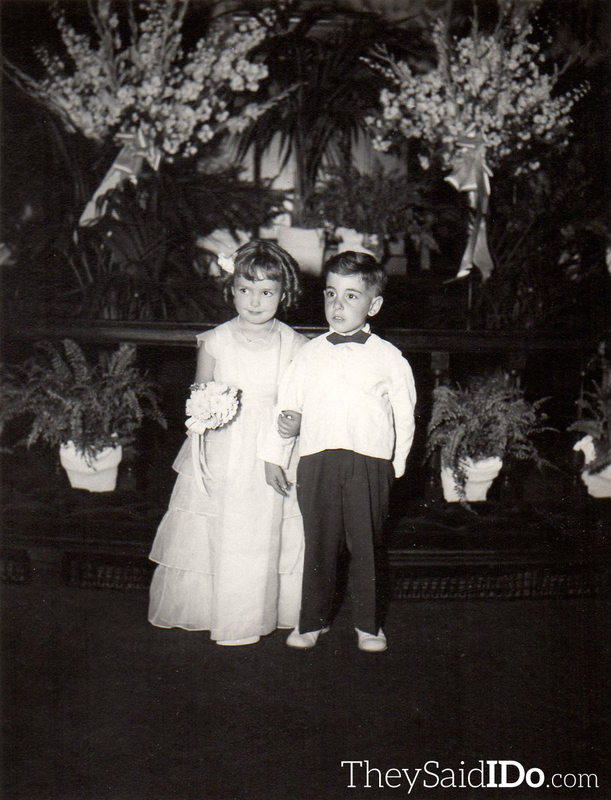 They look so much alike that first I thought they might be twins, but were actually born a year apart. 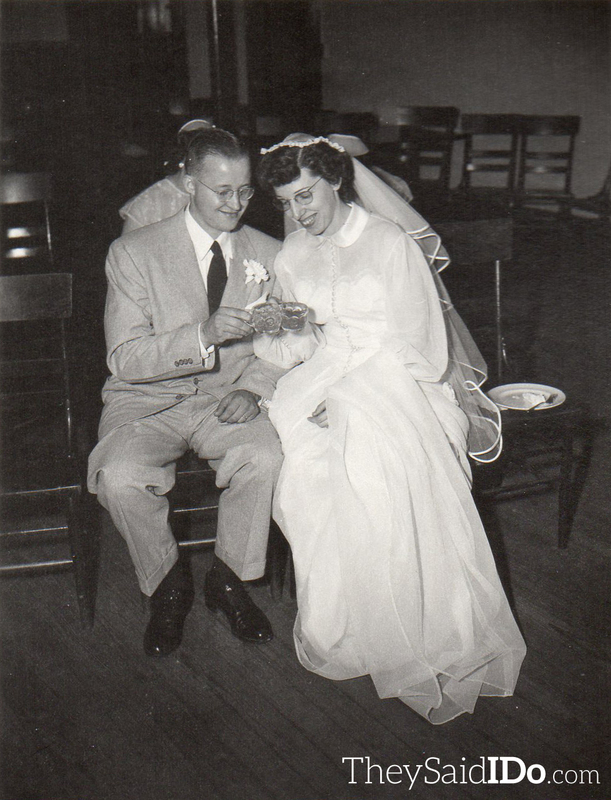 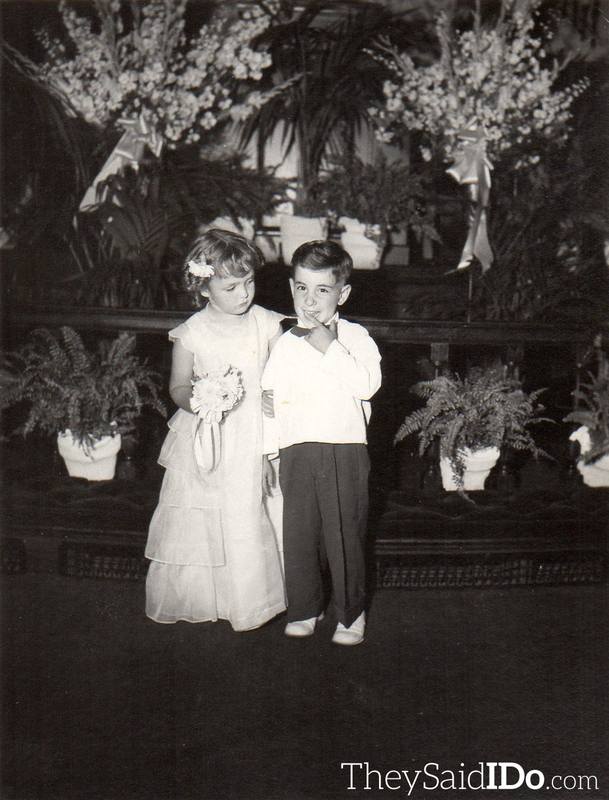 The younger sister, June, and her husband, Jack, were married in May of 1947 in Lansing, Michigan. 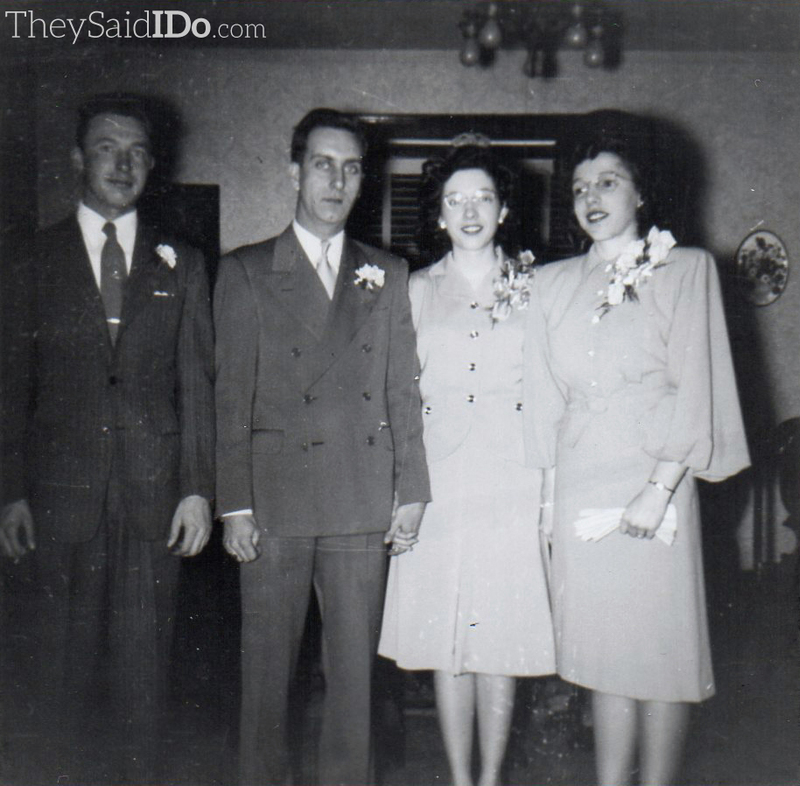 She’s wearing a tailored bridal suit so common to brides of the 1940s. 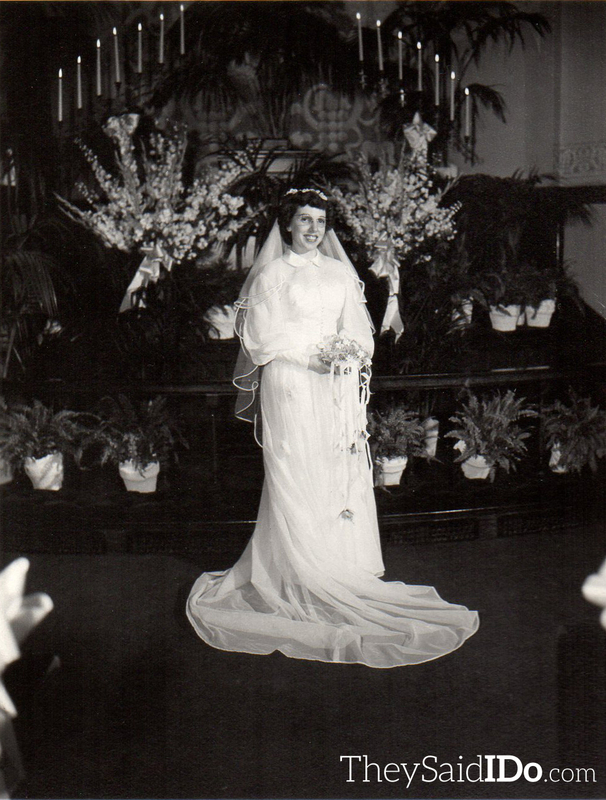 Obviously this was a trend necessitated by the scarcity and expense of material for wedding gowns during (and in this case just post) WWII, but I quite like to see these smart and sophisticated looking brides. 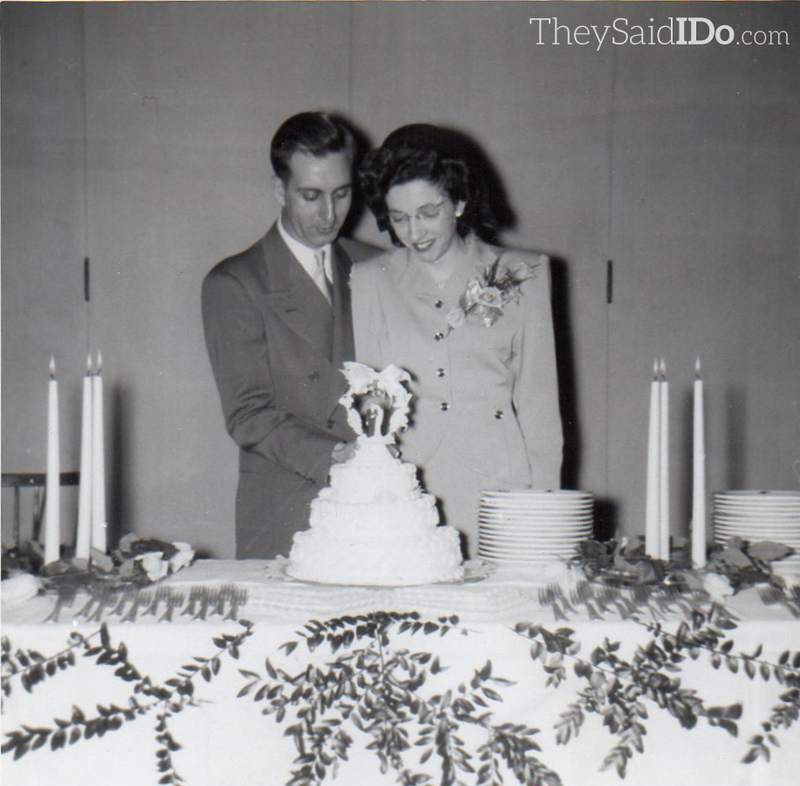 Jack and June cut the cake. 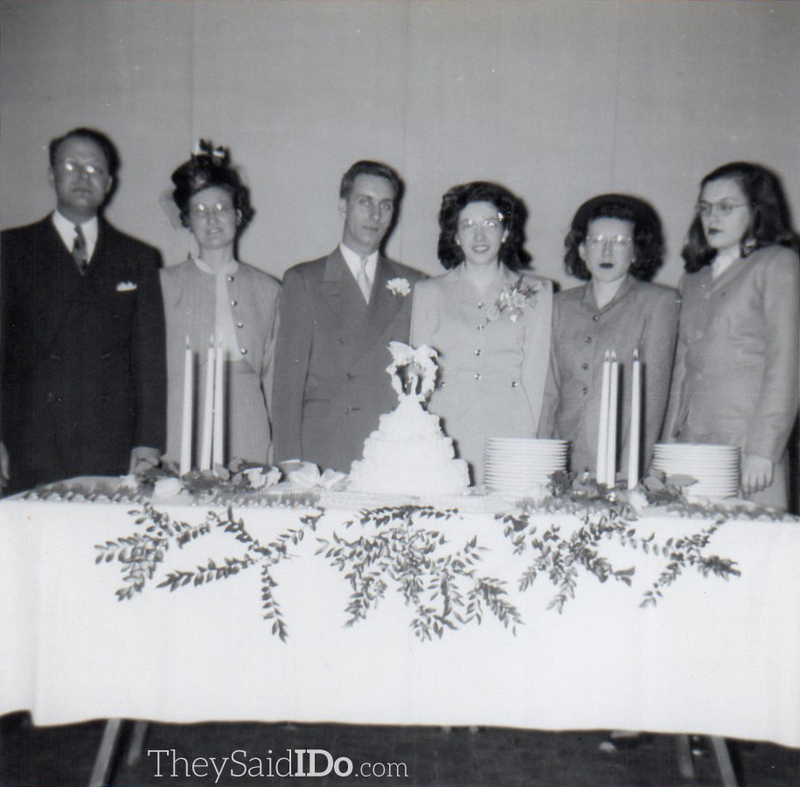 June’s sister Inez, presumably the maid of honor, is pictured on the right. 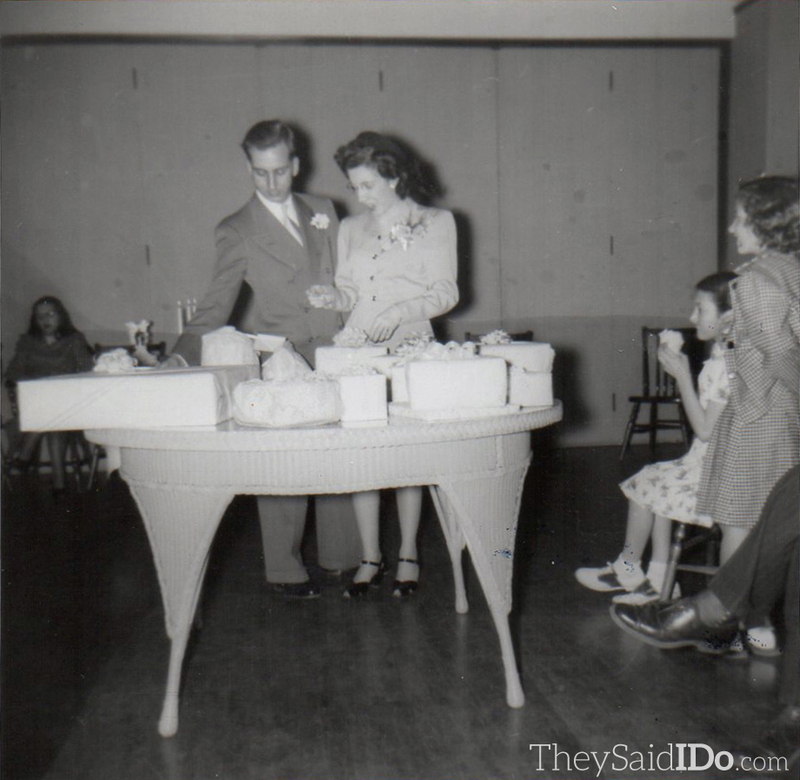 Jack and June survey wedding presents from their guests. 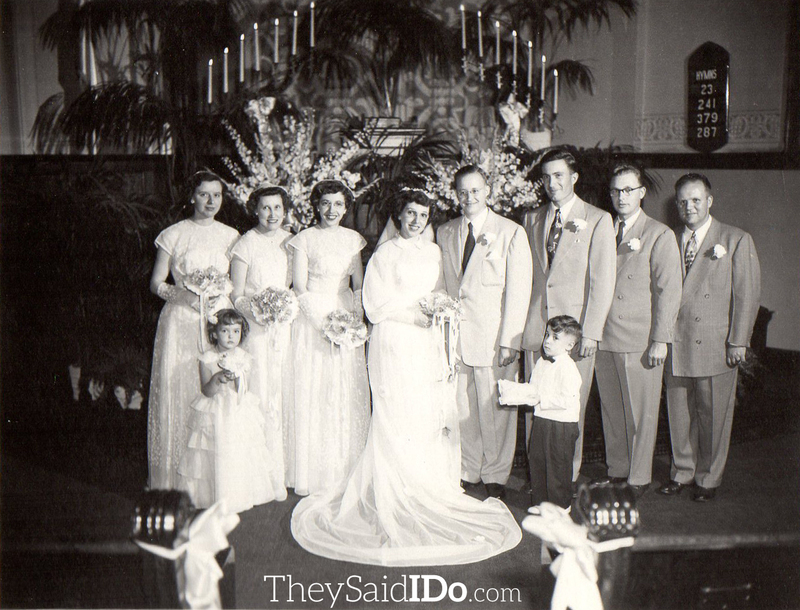 Sister Inez’s wedding from the 1950s will be coming soon!